Met up with Malcolm for yum cha last night. He was starving by the time he picked me up at 9.40pm. 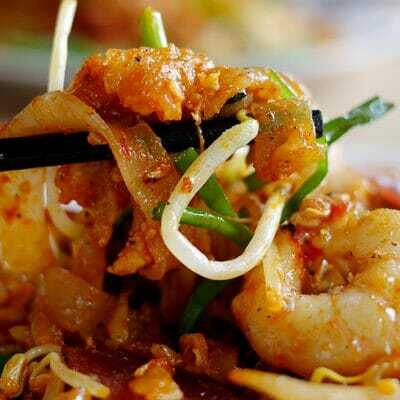 Initially, the plan was to go to Shanky for tai chow but we ended up at Mee Yoke Lim. 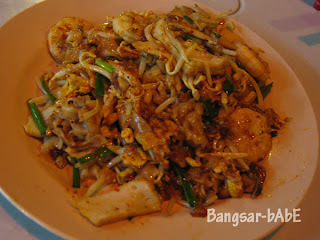 Ordered a portion of stingray for 2, a large plate of Char Kuay Teow and Hokkien Mee for one person. The fish was nicely grilled till crispy brown on the outside and topped with okra, long beans, winged beans and onions (I omitted the petai). Pry the fish open and you will find its tender and sweet flesh. 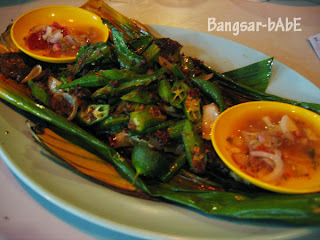 The sambal paste gave plenty of flavour and spiciness to the fish while the accompanying lime sauce gave it a pleasant tang. 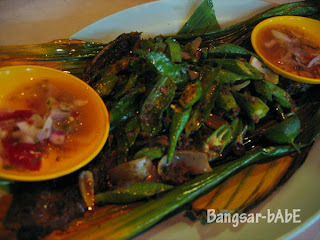 The grilled vegetables were quite a delight to eat especially when paired with the sambal. Hokkien Mee was above average although I reckon the standard had slightly dropped AND they raised the prices by a dollar. 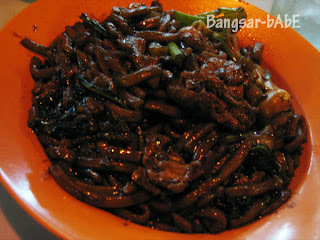 Although the wok hei was present, there was nothing particularly outstanding about this plate of noodles. 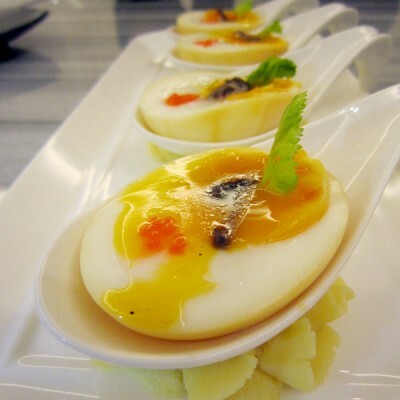 I guess the ikan bakar overshadowed this dish. Well, at least they were generous with the lard. 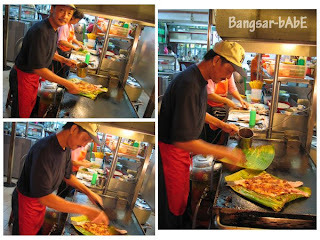 Malcolm found the ikan bakar quite spicy. I think it’s because he bit into some chili padi and also because he can’t take spicy food. 😛 We’ll have to wait and see if he gets gastric or heartburn after this…kekeke. Verdict: Good food, reasonable pricing, not so good ventilation. 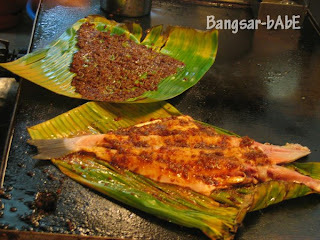 Try the ikan bakar…it really is delicious!